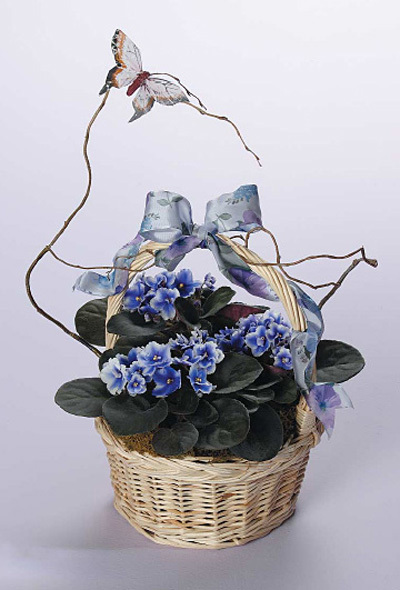 Three stunning African Violets arranged in a beautiful wicker basket. This African Violet arrangement makes the ideal gift for family, friends, coworkers, and many more! Send beautiful flower gift baskets in San Diego with Four Seasons Flowers. Order now for same-day delivery!